"Quite an Amp friendly economical setup. 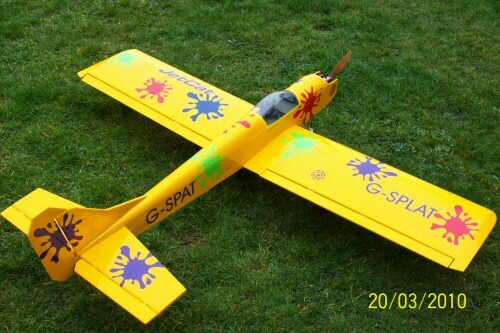 The aircraft RTF is approx 5Lbs, so plenty of oomph for aerobatics. 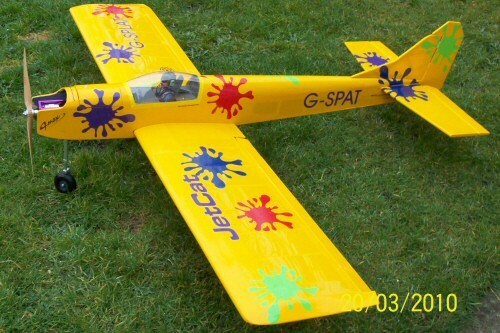 You will note, I have recovered and slightly modified the Speed Air, got rid of that awful sticky covering scheme and recovered in yellow, with splat decals, using Matt Chapman's CAP as a basis for the theme. I think it looks rather good and much better than original. 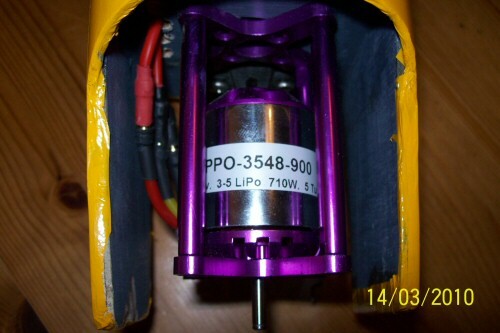 I also enlarged the rudder and re-glued all joints and added a hatch for Lipo changes."